“Stanford Path”, founded by Stanford Swim School, has been awarded an exclusive patent by the Intellectual Property Department (IPD). All Stanford swimming courses are structured based on the “Stanford Path”. 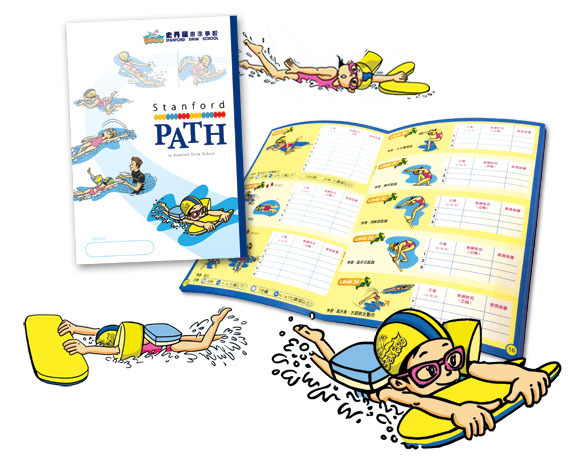 Stanford Swim School designed “Stanford Path” based on the learning need and effectiveness for children. Accompanied by exquisite artwork illustrations of the course level, “Stanford Path” ﾠis tailor-made for children and carefully designed to enhance their learning spirits. We understand that the learning progress of every student varies so our coaches will record the individual progress on the student handbooks, with an aim to closely monitor each student’s need. We deliver classes catering each student’s progress that isﾠcomparable to private classes.